“Since the introduction of Peppermint the conveyancing team are getting close to doubling the number of matters converted from enquiries as a result of using Peppermint”. Steve Payne adds, “The number of transactions which are being handled has gone up very considerably and that’s translating directly onto the bottom line”, also, “The writing of the workflow which we’ve done in conjunction with Peppermint has certainly enabled us to handle a much higher volume of work than we did previously without increasing our staff overheads”. 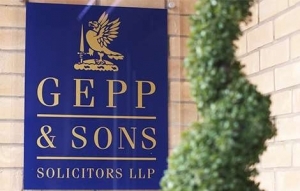 With the introduction of Peppermint, Gepp & Sons have commented that the communication and transaction period is much quicker, which has allowed the firm to advise more clients and complete more tasks. Peppermint covers the mundane tasks which means that the staff have more time to do the things they enjoy such as liaising with clients and improving their customer experience. Additionally, Mike Cubbin also notes that the move to the cloud means that not only is the firm able to keep a pace with technological changes but it removes constraints such as back up tapes and maintenance on in house servers. He also adds that the writing of the workflow tasks has not only sped up conveyancing tasks but it has also resulted in more business being dealt with. Bakshi Dhanda, Partner & Head of Conveyancing states that “The Peppermint System has definitely improved the way that we work, the system is simple and easy to use and therefore the workflow tasks are completed a lot quicker than otherwise we would have expected, the new business team are also able to deliver a quote within minutes of receiving a request.” A result of this efficiency means that workflow tasks are completed a lot quicker which means that the firm is able to take on much more business and handle a much higher volume of work. When discussing the go live process Steve Payne comments, “We were able to anticipate where any difficulties might occur and to a very large extent we’d identified with Peppermint’s help where there might be problems and we were able to take action accordingly so that the actual ‘go live’ process went really smoothly.” Not only did he note the process was a smooth one but also that “There was a synergy between the two teams, Peppermint and our own IT team. They were diligent and hardworking, everything was checked and double checked” He adds, “We had some fun, despite the stress and the pressure that is an inevitable part of the go live with an IT situation, but they bought expertise and good humour”, Steve Payne. It was also noted that other members of staff found the Peppermint team excellent to work with, responsive and very hands on.